Outsell launched today a new addition to its NeuroMotics® AI marketing-driven platform: Inventory Mover, the industry’s first inventory recommendation engine that automatically sorts through consumers in a dealer’s DMS and CRM, identifies in-market consumers, predicts which VINs will appeal to each consumer, and dynamically shows unique live inventory recommendations to each consumer via automated, individualized emails. Outsell is already known for its NeuroMotics® AI brain that powers its comprehensive marketing suite. Outsell employs a real-time customer lifecycle based approach that helps dealers accelerate sales by individualizing consumer messages. Its BuyerScout® software detects and tips dealers off to in-market buyers. Now with Inventory Mover, dealers can automatically highlight and match would-be buyers with specific inventory to help them move inventory off their lots faster. Analyzing consumer behavior to determine which vehicles in inventory are best for each person, and dynamically serving up those vehicles through individualized marketing communications. Identifying aging inventory and matching VINs to people who are likely interested in those models. Driving traffic directly to dealer Vehicle Detail Pages (VDPs). Updating recommendations seamlessly as inventory is rotated – dealers can specify which vehicles to highlight, or let Outsell completely automate the process. Monitoring shopping behavior and updating recommendations daily. Generating direct leads with availability form, conveniently pre-filling the form for customers so they can indicate their interest with one click. 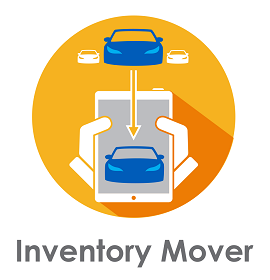 Back-end integration is via API – Outsell Inventory Mover simply connects to the dealer’s existing inventory database. Optimize: Provides all the basics for effective, individualized digital marketing, including buyer identification, inventory matching and automated communications that are individualized for each consumer’s unique needs and preferences. Capitalize: All of the features of Optimize, plus the tools required for Conquest campaigns for obtaining net-new customers. Specialize: Designed for smaller OEM dealers handling exotic brands, this package provides everything required to automate individualized email communications. Socialize: Dealers who want to connect with customers via social media can leverage the Socialize package to serve up relevant, individualized content that encourages customers to leave reviews, increasing customer satisfaction and helping attract more business. Maximize: This package includes the full suite of Outsell solutions for buyer detection, inventory matching, automated and individualized communications, and social media optimization. To learn more about Inventory Mover or Outsell’s new product packages, visit www.outsell.com/inventorymover.